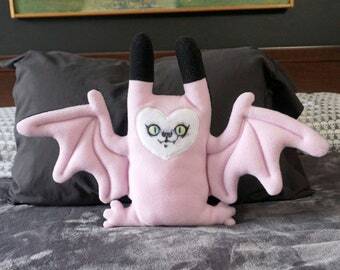 A BATCAT! 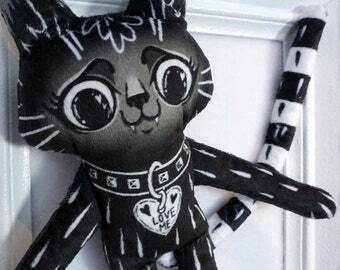 This is a handmade plush doll illustrated by blacklilypie AKA Tara Fortin. 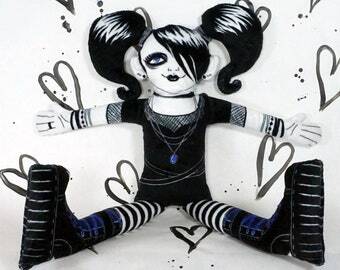 The doll is made from soft minky fabric. It is pre-washed and will not fade or run. 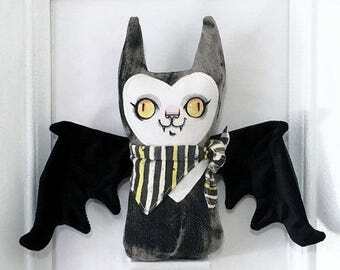 The batcat has a long striped tail, and wings on its back that has a faux leather backing. 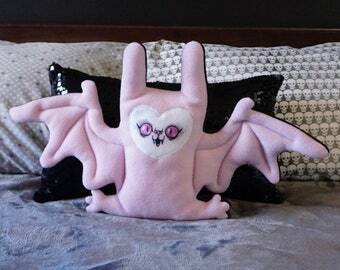 The doll is softly stuffed, nice and squishy. 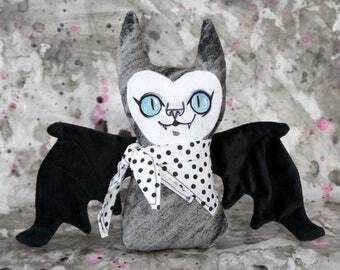 The little baby seal doll is completely separate and does not attach to the batcat. 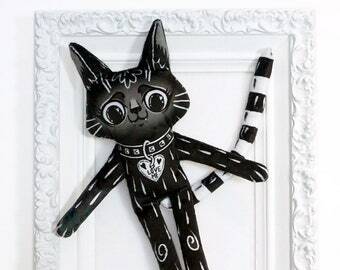 How is this doll made? -Digital artwork is printed onto minky fabric. I wash and prepare the fabric. 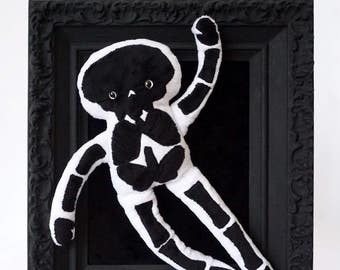 -The doll parts are carefully hand cut and each doll is carefully assembled, then sewn by hand in my studio. 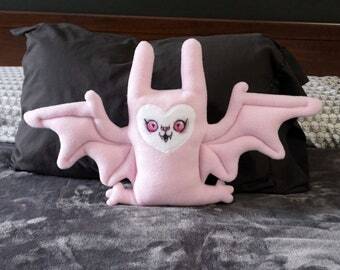 -They are softly stuffed with polyester filler, keeping them nice and squashy and perfect for bed cuddling. An absolutely lovely item! Very soft and floppy in all the right places. Even favorited by my cat.